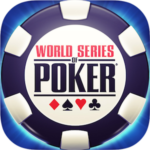 The 2018 World Series of Poker is a few events deep, with pros and amateur poker players cashing out and recording major wins. Event #5 recently finished up, with 105 players competing in the $100,000 No Limit Hold’em High Roller Tournament. In the end, it was Nick Petrangelo who earned the title win, after taking down Elio Fox in heads-up play. The win resulted in Nick earning a WSOP gold bracelet and just over $2.9 million in prize money. This is the second time Petrangelo wins a World Series of Poker gold bracelet. The first win took place a few years ago in 2015 when he competed in a $3,000 No Limit Hold’em Shootout tournament. During Event #5, Nick held the chip lead on Day 2 and 3 and seemed to ready for the final table once gameplay whittled down the remaining players. When the event got down to the final two –Nick and Fox– Nick would have a large chip lead. However, the two would battle for some time before the final hand would take place. On the final hand, Petrangelo would raise, and Fox would three-bet. 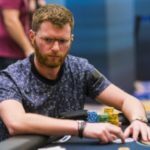 Nick would bet again and would receive a call from Fox with 1.8 million chips each in the pot. The flop showed 2-A-A and Fox would check to see Nick bet 1.2 million. Fox would then raise the bet to 3 million and Nick Petrangelo would call. The turn was an 8 of which Fox checked and Nick bet 4 million. Fox then called. The river was a 3 of clubs which saw Fox check and Nick go all-in. Fox would call and show 2-5 which equaled two pair, aces, and deuces. However, Nick would hold Q-8, giving him a higher pair and the win.